Let me share a secret with you, you connect to your heart all the time. Whenever you laugh from your gut unapologetically, sing at the top of your lungs, dance passionately, read a great book, or do anything that brings you joy, you are connecting with your heart. 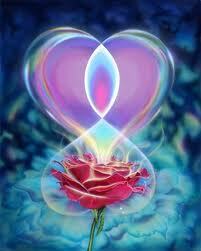 You heart holds the sacred energy of your being. In connection with your root, will, voice, spirit and most high self, the heart brings forth your internal light which makes the world seem as if it were covered with glitter. Your heart energy also leads you to journey through the darkness when that light has dimmed. Our hearts are our strength. Look out for a wonderful way to connect to your heart tomorrow.